Chemical and Materials Engineering is the engineering discipline that makes extensive use of both chemical and physical transformations to achieve added value. 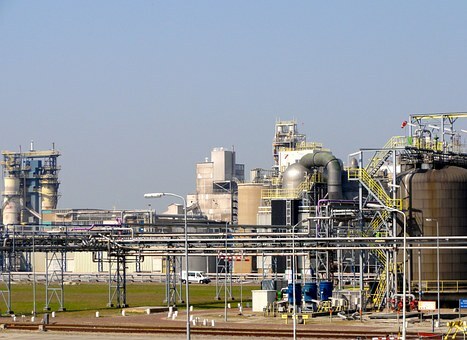 This profession relies on the concept of "scale-up", that is, the transition of a discovery (a new material, a new catalyst, a new molecule, a new physical phenomenon) from the laboratory to the production plant. In our times we are fortunate to be experiencing a literal explosion in new materials and new chemistries with applications in many and diverse fields, such as environmental protection and remediation, energy production and storage, hydrocarbon processing, plastics production and processing, foods, pharmaceuticals, biomedical devices and so many others. This has made Chemical Engineers worldwide well sought after by employers and commanding top salaries; we are confident that your program of study in Chemical and Materials Engineering will make your future career prospects even brighter. The BEng in ChME is a four-year degree program. The program is designed to provide skills and a detailed knowledge base at the undergraduate level for a career in advanced degree, industry or research,in Kazakhstan or abroad. The ChME program at NU includes a first year dedicated to courses common to engineering disciplines, particularly regarding to physics and mathematics. In the second year students will further improve their mathematical skills, essential to solve later on complex engineering problems. At this point, core courses of the discipline are introduced, starting with an introductory course on ChE, together with thermodynamics and fluid mechanics, as well general courses on inorganic and organic chemistry. In the third year students will learn about the key units present in chemical plants, such as chemical reactors, heat exchangers and separation units. Students will learn first hand the practicalities of these core chemical engineering courses in two dedicated experimental lab courses. Two further courses are dedicated to the chemistry of materials and their characterization. In the last year, students will focus on process design and simulation, as well as in control and safety systems in chemical processes. Such courses will enable students to perform their Capstone projects, involving the design and simulation of a whole chemical process. In the final year students will have the opportunity to explore different aspects in the very broad discipline that is ChME through elective courses. Many elective courses on chemical engineering are available for example on environmental applications or on multiphase systems. Elective courses specialized on materials include for example those on polymers, colloids, powders or on biological tissues. emphasizes research-based learning so as to actively develop students’ independent research skills and provide students with opportunities to put these skills into practice. The program steering committee will consult with the Advisory Board (AB) which will include representatives from Regional Industries, Professional Associations and Governmental Agencies. The program will further seek to develop an active Alumni association. The curriculum of the proposed program covers chemical and materials engineering fundamentals, product and process design, molecular and plant simulation, as well as other topics related to Chemical and Materials Engineering, such as environmental and bio-engineering. Students can further acquire more specialized knowledge through the use of elective courses and through the Research Practice course. These courses are outlined in following sections. One year-long Capstone Project is included in the curriculum; in this, students can gain experience in team-work as well as in defining and solving large problems as members of a group. Capstone projects require integration of earlier course components into problem definition and solution. In the context of a Capstone Project, students are required to give oral and poster presentations in addition to written project reports. This form of learning capitalizes on each student’s interests, abilities and learning styles. They also learn about and demonstrate their capacity related to ethics and/or safety issues associated with the design. The capstone course challenges students with real-world design projects, and students are required to incorporate conceptual design, energy, safety and economic analyses into the design. Students may also participate in inter-disciplinary design project in which students of different engineering disciplines work as a team in design, analysis and manufacture of innovative engineering products. Research-integrated teaching is emphasized in the curriculum through a variety of opportunities. Such opportunities are offered to the students in different courses via course projects, and also through the Research Practice course. 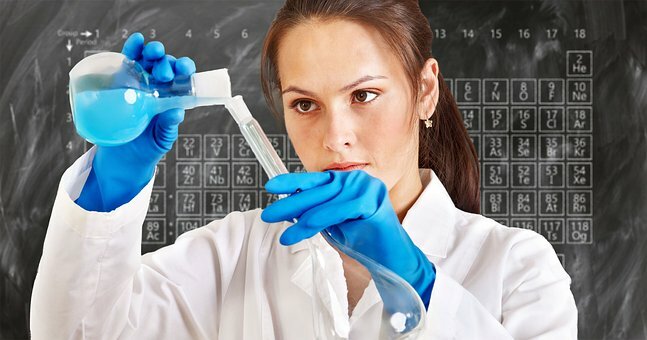 In the Chemical and Materials Engineering curriculum, students will be taught how to collect data and information from the technical literature, propose and develop research methods and engineering solutions, make use of their knowledge as well as of modern tools (equipment, software) to test hypotheses and draw conclusions. Chemical and Materials Engineering students are able to join different international student societies. The NU Student Chapter of the American Institute for Chemical Engineers (AIChE) is a very active student society which has already been nominated “Outstanding” by AIChE for two consecutive years (2016 and 2017). Chemical and Materials Engineering students are encouraged to join other student societies including but are not limited to Society of Petroleum Engineering (SPE) and American Chemical Society (ACS). In addition, the students already take advantage of existing exchange programs or internships (such as with University of Wisconsin/Madison and University of Buffalo in the USA as well as with several Chinese or Korean Universities). Further, the School of Engineering already sponsors students to attend conferences and present the results of their research (for example, research carried out in the context of Research Practice or Capstone projects). Students are required to complete 4 elective courses (24 ECTS) based on their interest. Elective courses (and their prerequisites) could be changed time to time to address the industry demand and the faculty expertise. The program is enriched by an extensive variety of elective courses related to both Chemical Engineering and Materials Engineering. Depth and Breadth elective courses are indicated by (D) and (B), respectively. Elective courses (and their prerequisites) could be changed from time to time to address the industry demand and the faculty expertise. Some of these electives based on the areas are listed below: Chemical Engineering courses: CHME 450 Atmospheric Chemistry and Physics (D) CHME 351 Environment and Development (B) CHME 352 Process Design for Environmental Applications (B) CHME 451 Advanced Process Simulation (D) CHME 452 Industrial Wastewater Treatment and Reclamation (D) CHME 453 Multiphase Systems (D) CHME 454 Advanced Transport Phenomena (D) CHME 455 Heterogeneous Reactor Engineering (D) CHME 456 Colloids and Surface Science (D) CHME 457 Advanced Chemical Process Safety and Risk Modeling (D) Materials Engineering courses: CHME 353 Electrochemical Engineering (B) CHME 458 Corrosion Protection in Oil and Gas Industry (D) CHME 459 Biomechanics (D) CHME 421 Tissue Engineering (B) CHME 460 Polymer Processing and Rheology (D) CHME 461 Powder Technology (D) Most of the elective courses are developed and taught in the School of Engineering. However, courses from other schools may be considered as electives if approve by the Department of Chemical and Materials Engineering and the School of Engineering.